We are a relatively new business that has been established since 2008 but don’t let that fool you, as we have over 50 years experience in the radio communication industry. Being a small team, our overheads are low, this allows us to keep prices competitive so you the end user can benefit. Our dynamic, enthusiastic and dedicated team is made up of individuals with skills and working backgrounds in the following areas: company management, company administration, account management, sales, service, engineering, technical, marketing, hire, rental and customer service. We formed our company as we believe in providing quality radio equipment and an excellent service to our customers to help make us more successful and more importantly, our customers successful. We communicate! We get involved throughout the whole process: from your initial enquiry, to visiting your premises to carry out our site survey and radio coverage checks, putting forward our recommendations in line with your requirements, we provide you with a verbal or written quotation and then you place your order. It doesn’t stop there either! Once your order is placed we assist you with applying for Ofcom radio licenses, program your radio equipment to your frequencies including any extra value added features that you want your radios to have (such as emergency, caller identification etc). We then install your radio system and train your staff. We keep in touch to check everything is working as it should be, providing you with excellent aftersales support. At the end of all that you can also opt to take out an annual maintenance contract for your radio system so we can keep it in tip top condition. We can provide the following manufacturers radio equipment: Motorola, Standard Vertex, Tait, Kenwood, Maxon, Icom and Entel. If we haven’t listed a particular brand, contact us and we will get a quote for you. Our client base is made up of the following industries: Taxi/Private Hire, Recycling, Transport, NHS/Hospitals, Colleges/Universities/Schools, Councils, Event/Stadiums, Security and Charities. The majority of our clients are based in Cheshire and surrounding area including Liverpool, Manchester and Chester. We also have a number of clients located in other parts of the England and the North of Wales. We aim to provide our customers with reliable radio communications equipment by only recommending good quality equipment. We also believe that aftersales service and ongoing maintenance is vital to ensure that radio equipment operates to the best of its ability. 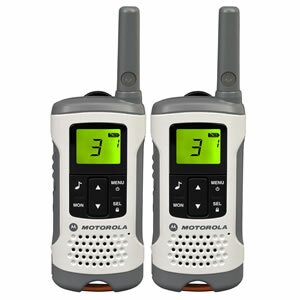 We are one of the first radio companies to own a Motorola Digital Wide Area System using only NEW MOTRBO digital mobile radios and hand portables, we aim to increase the number of subscribers on this system in the near future and also long term, to set up several other digital wide area networks in key areas. We believe in investing in people to get the best performance out of our staff and that by looking after our staff they will, more importantly, look after our customers. As communication is the key to our business, we aim to always return a call, reply to an email or get back to you on the same day you contact us.